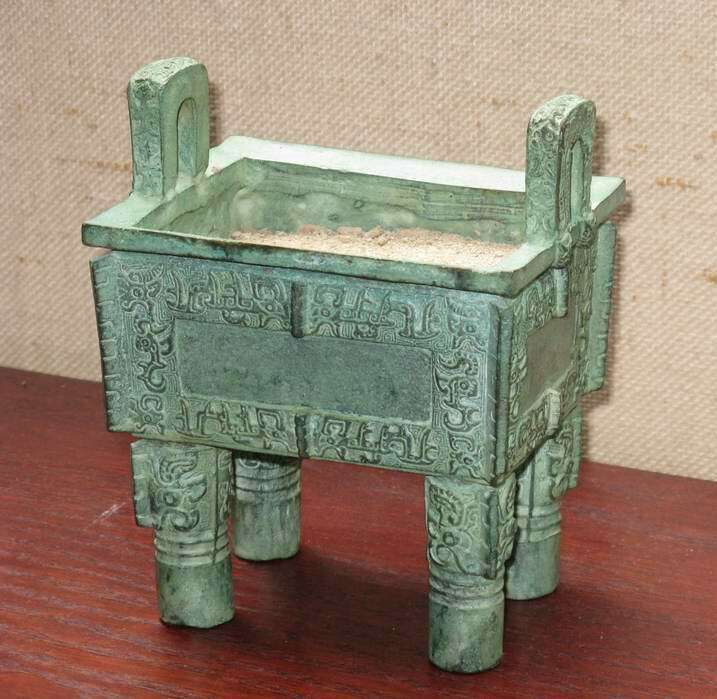 Description: Green jade incense burner, with dragon engravings. Width : 13,7 cm ; Height : 15,5 cm. 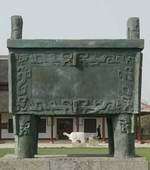 Description: Bronze ding with «ri yue tong geng» lettering. 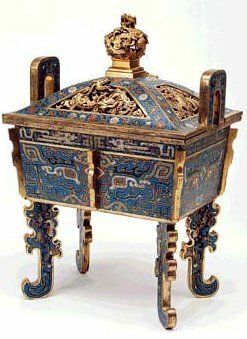 The two handles are decorated with a Phoenix's head. Height: 19 cm. The lid is made of wood. 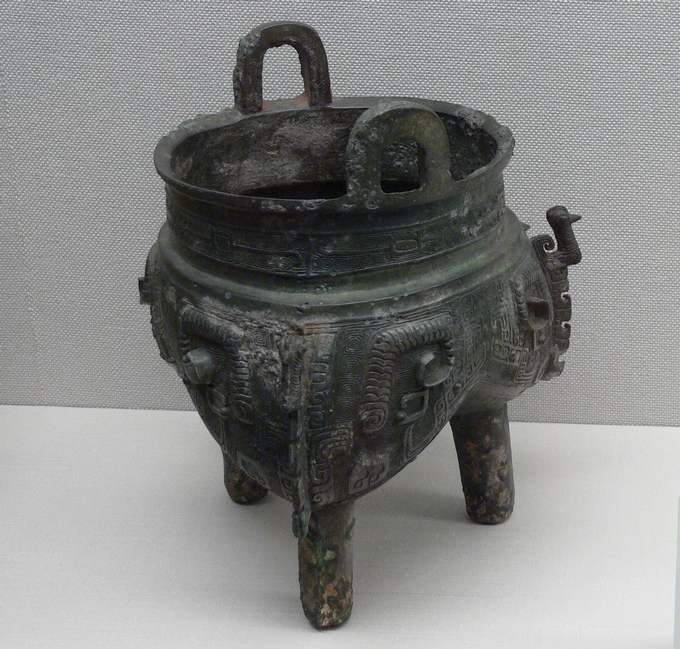 Description: Bronze Incense burner, or Ding cooking vessel with dragon design. 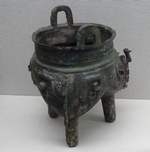 Description: Bronze Incense burner, or Ding cooking vessel with Taotie design. 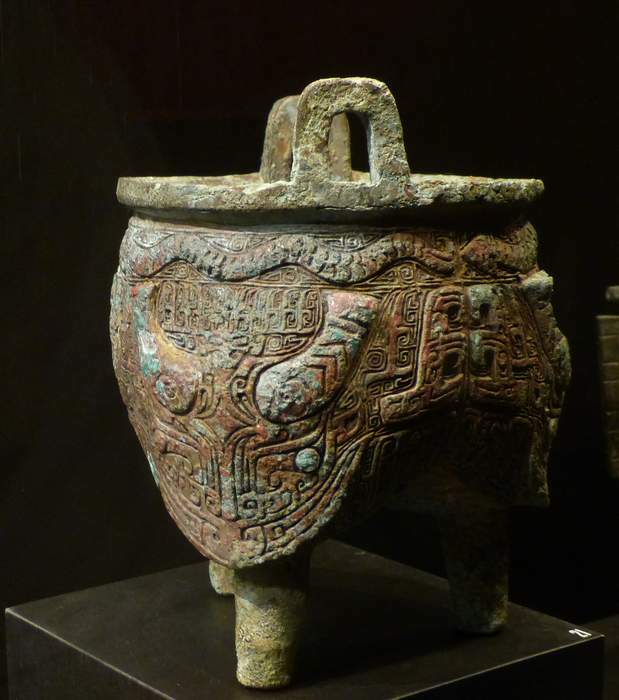 The Taotie is a motif commonly found on ritual bronze vessels from the Shang and Zhou Dynasty. 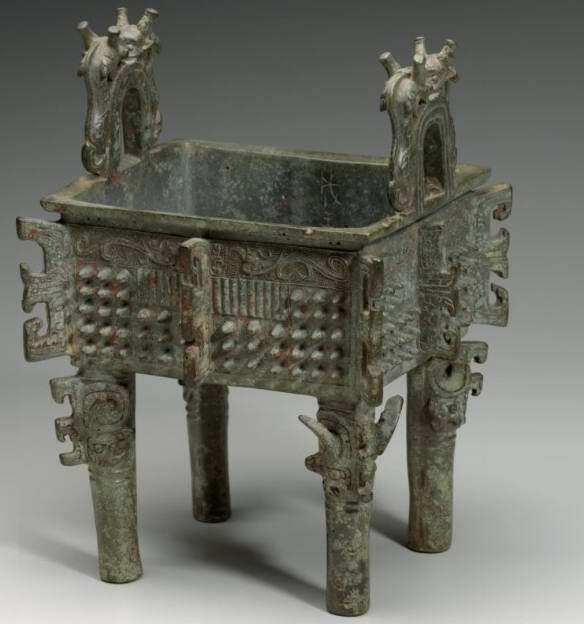 The design typically consists of a zoomorphic mask, described as being frontal, symmetrical, with a pair of eyes and typically no lower jaw area. 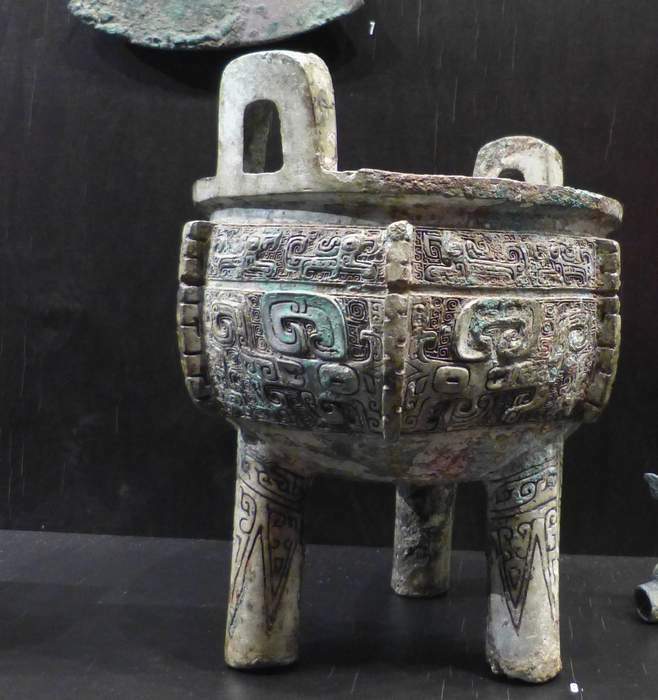 Description: Bronze vessel, decorated with small and big dragons in relief. 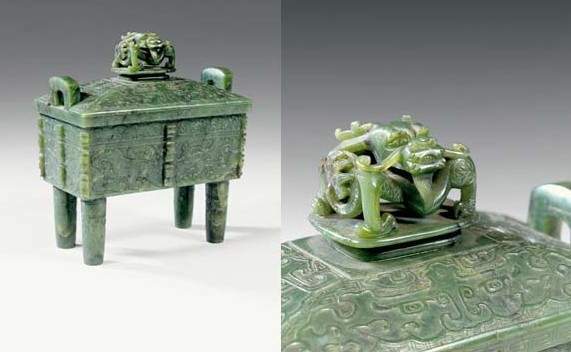 Two great opposing dragons form a taotie mask. 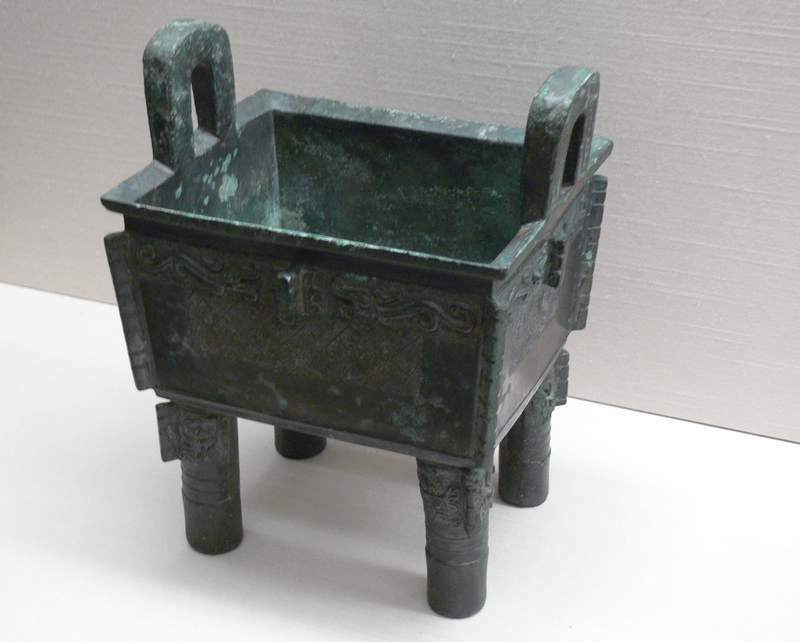 Description: Bronze vessel for cooking or incense. 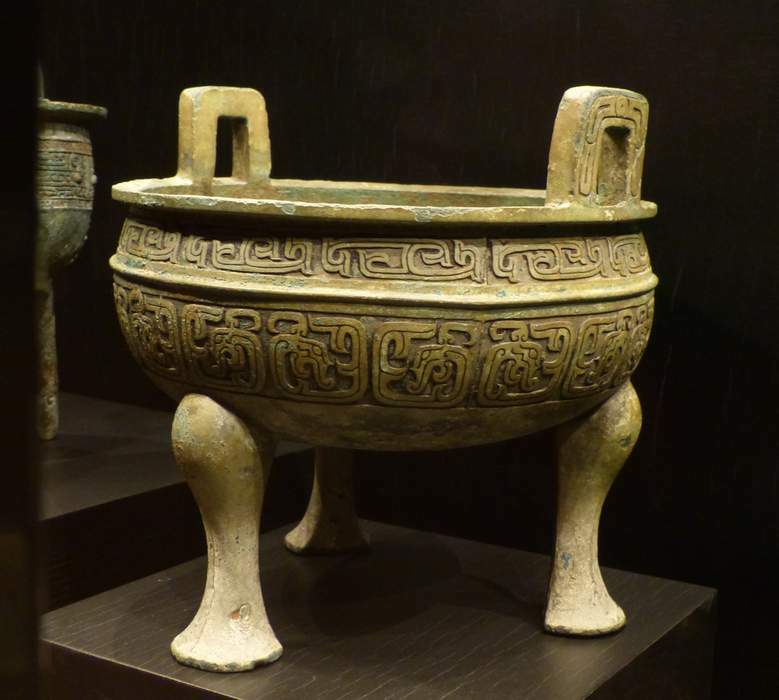 Description: Shallow bowl on thre cabriole legs. Description: Censer in the shape of a ding. 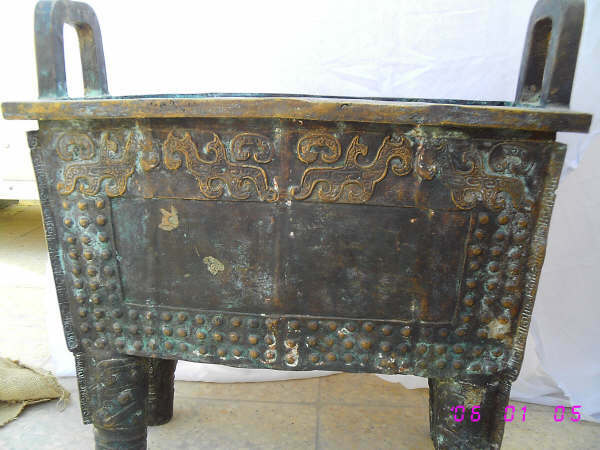 Bronze with old splash decoration. 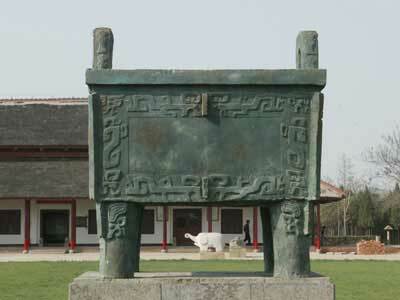 Xuande reign marks. 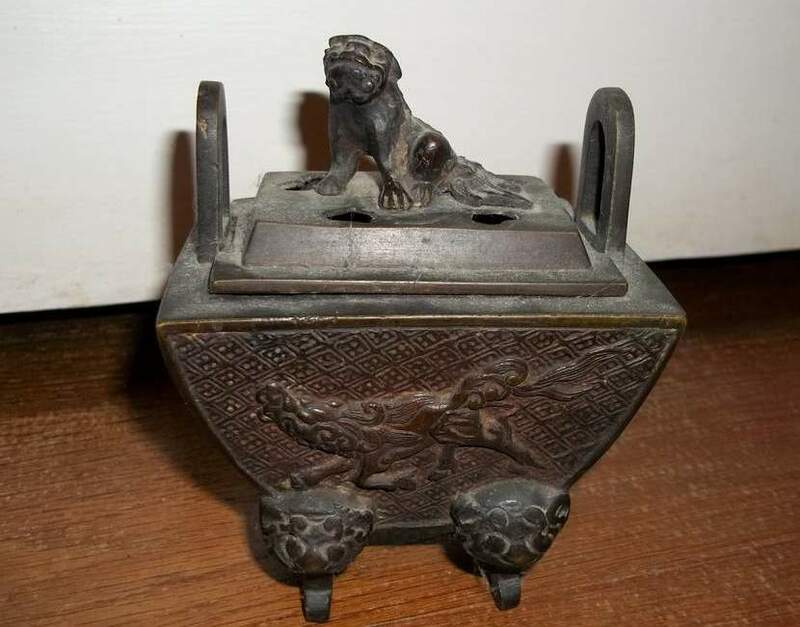 Description: Bronze Ding with dragon shaped inlay, a foo dog is sitting on the lid. 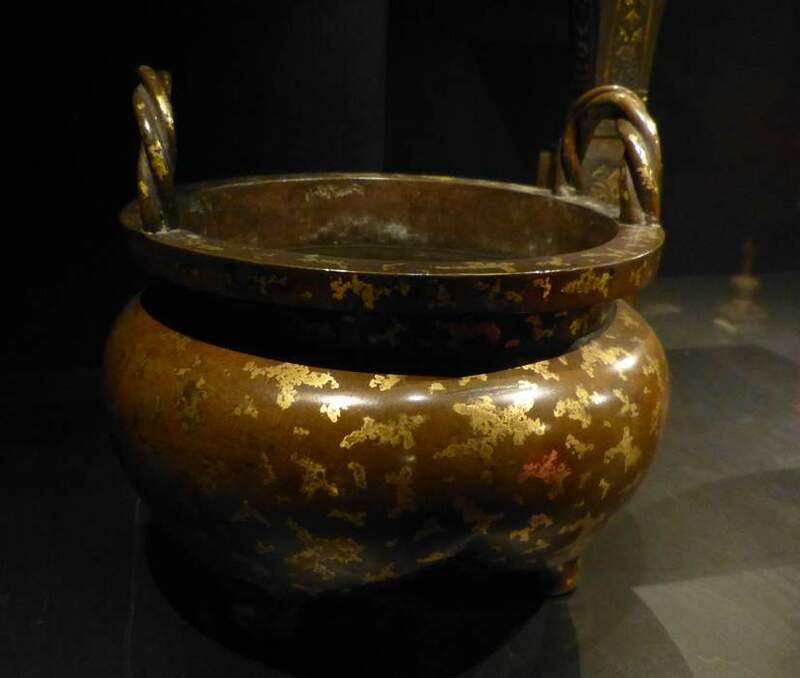 Description: Ding made from bronze and could be from the Shang Dynasty (13th to 11th BC). 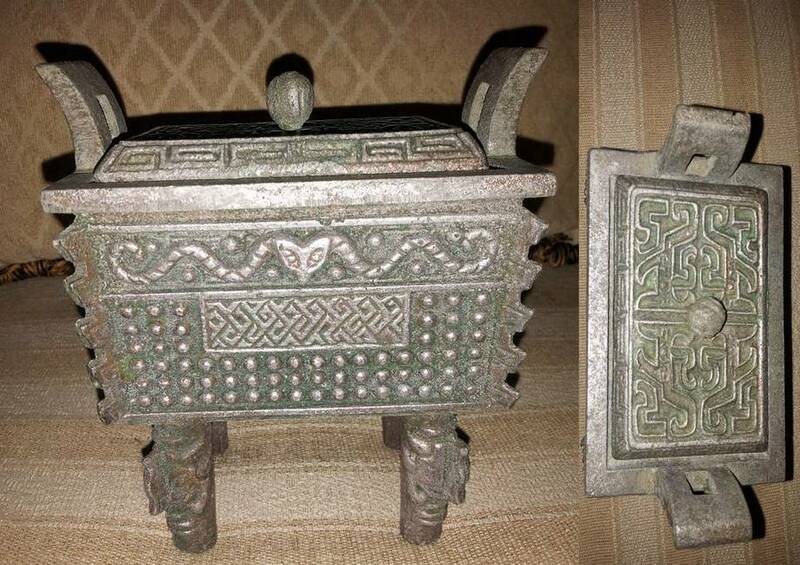 Dimensions: Height:15.5 cm, Length: 13 cm, Width: 10 cm It has motifs of dragons and lines that imitate the Chinese alphabet. It comes complete with a cover and an inner compartment.